Hotel kingfisher Udaipur has one of the best Udaipur hotels packages in whole Udaipur, Rajasthan. It is a fine boutique hotel with ultra modern ambience. They have a wide array of rooms for esteemed guests including the standard and Budget Rooms. Their mission is to completely delight and satisfy their guests with all the ultra modern amenities and comforts. They aim to meet the highest standards in location, accommodation, services and anything and everything possible for their guest’s comfortable stay, making it best family hotels in udaipur.They always put hospitality services on the highest level in order to satisfy the demands and expectations of our guests. It is a vibrant and lovely place to spend your holidays by Udaipur Hotel booking with your loved ones in utmost royal comfort with beautiful atmosphere around to breath in the cool aroma of the nature to refresh yourself. Plus it is situated near one of the most well-known landmark of the Udaipur, which is Marvel Water Park. You can enjoy your holidays with most amazing and comfortable stay and water park fun with your family. And so far it is most popular family hotels in udaipur. 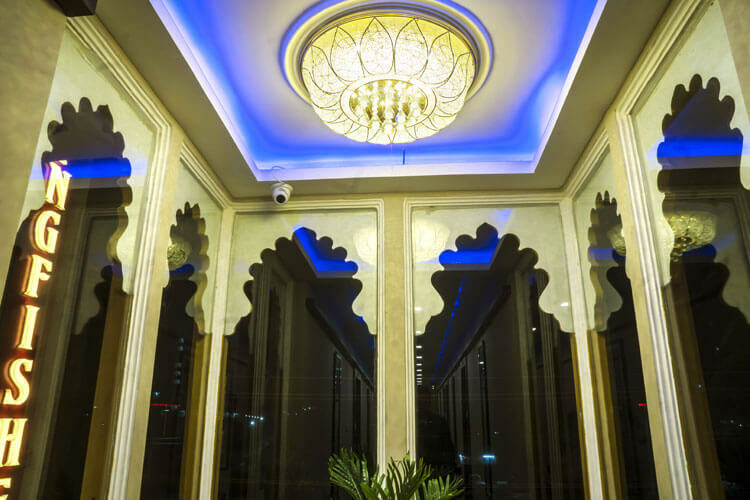 It also has a banquet hall with the capacity of 350 people at once which can be used for any formal or in-formal functions, parties or conferences. And thus it can be counted as one of the finest business hotel in udaipur. They also provide catering for such kind of functions with delicious food items. They have expert chefs cooking variety of delicious multi cuisine dishes. They have wide choice of residential accommodation to provide along with the very affordable prices among any other Udaipur hotel rates, and the tranquil ambience like the resort make it a great place to enjoy a relaxing holiday in the company of your loved one. Its royal infrastructure adds to the beauty of the positive vibrations to the cool breeze in the surrounding atmosphere. Hotel Kingfisher Udaipur offers you the warmth, impeccable service and everything you need on your vacation or any of your formal or in-formal functions. So, let it be the first and best option for you if you have a chance to be in Udaipur.